Dahlia fireworks mixed, From seeds. All my roses are first year except double delight. Burgundy iceberg, i am big fan of icebergs, they are top floribunda. First year, so kept only one bloom, rest pinching till next year. Brilliant Pink Iceberg, Own root. I have planted another own root pin iceberg at bottom of my neem tree as iceberg is very shade tolerant, i will show its pics next year. Fragrant plum grandiflora. Wonderful scent. I am enjoying my roses in pots a lot. 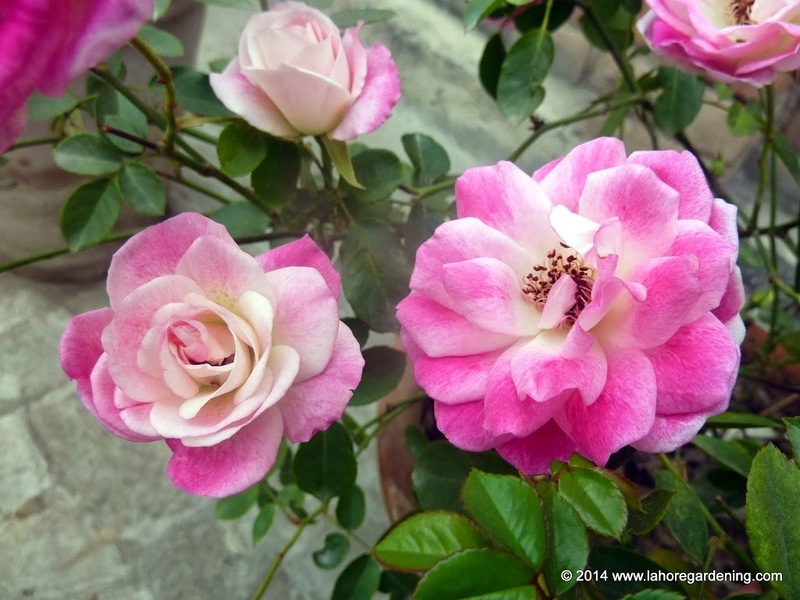 This is French Lace, a floribunda, i love its color and its compact size. Own root. 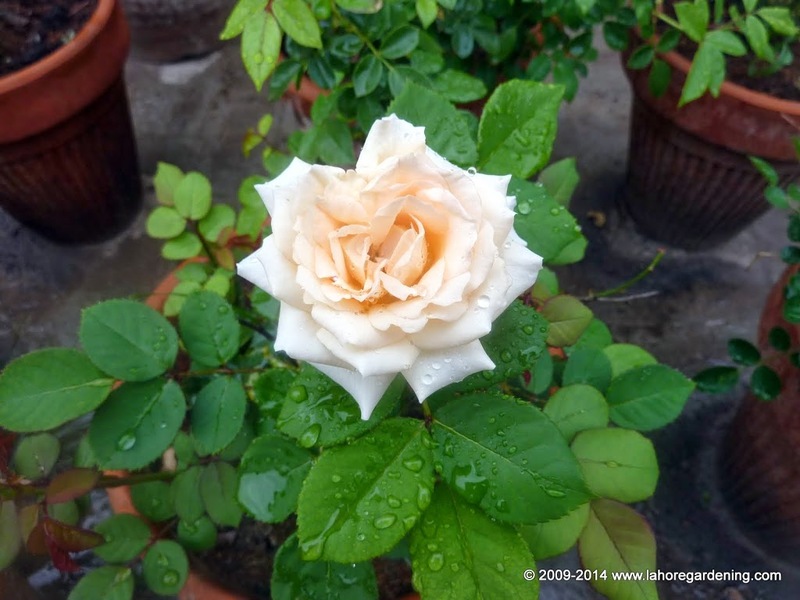 A miniature rose, my kid removed its tag, its a famous named variety. Own root. 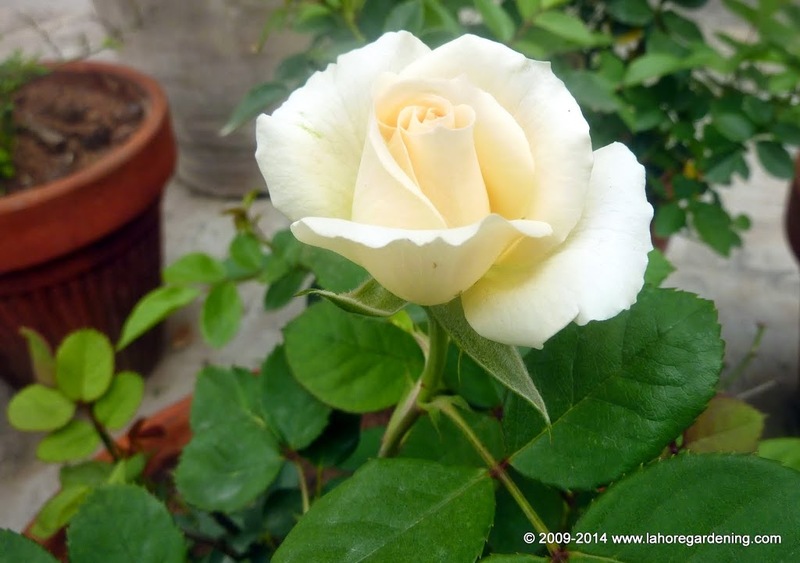 Another mini rose, i think it is winsome. Own root. Petunias and in center dimore. 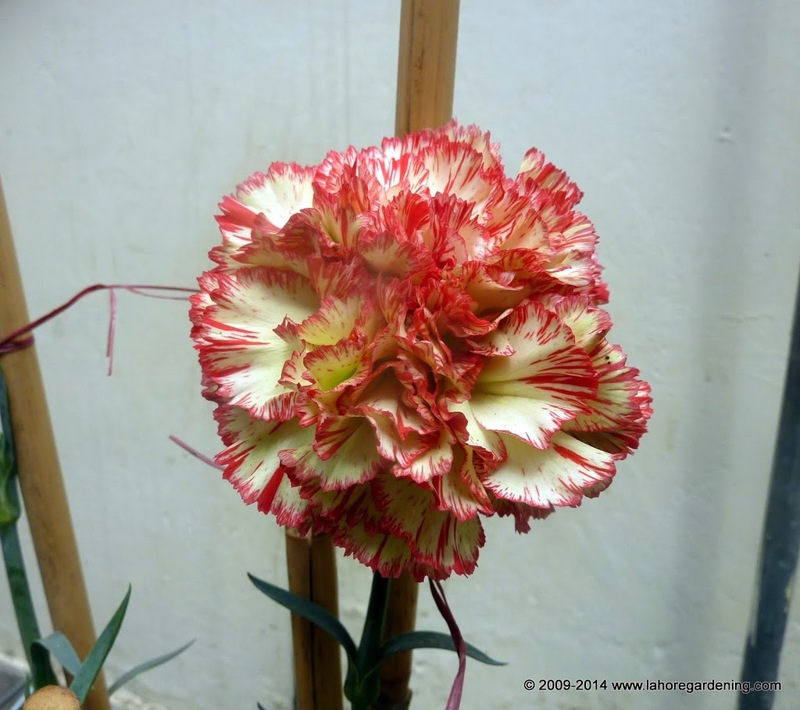 Carnation, I intend to keep them as perennial, lets see if they survive monsoons. 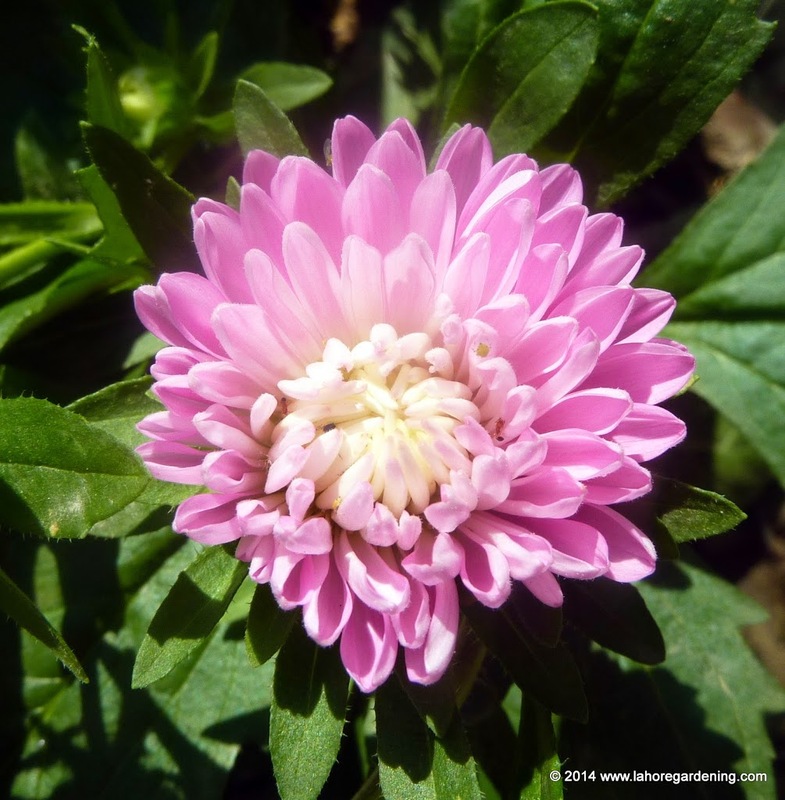 Aster Pink tower, From seed. The actual plant has around 6 flowers but i could not take picture. 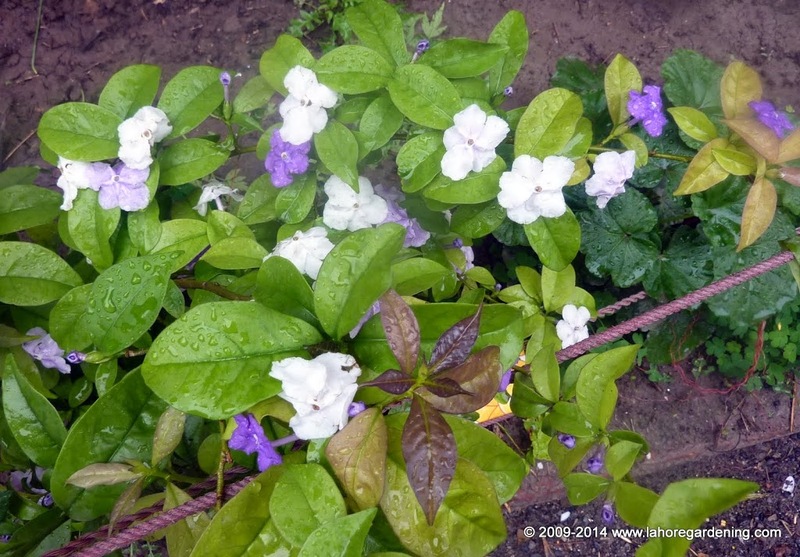 Brunfelsia, growing under neem tree, doing fine. 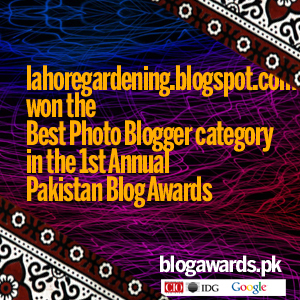 This post is included in Garden Blogger’s bloom day, an online gardening event held on 15th of each month. 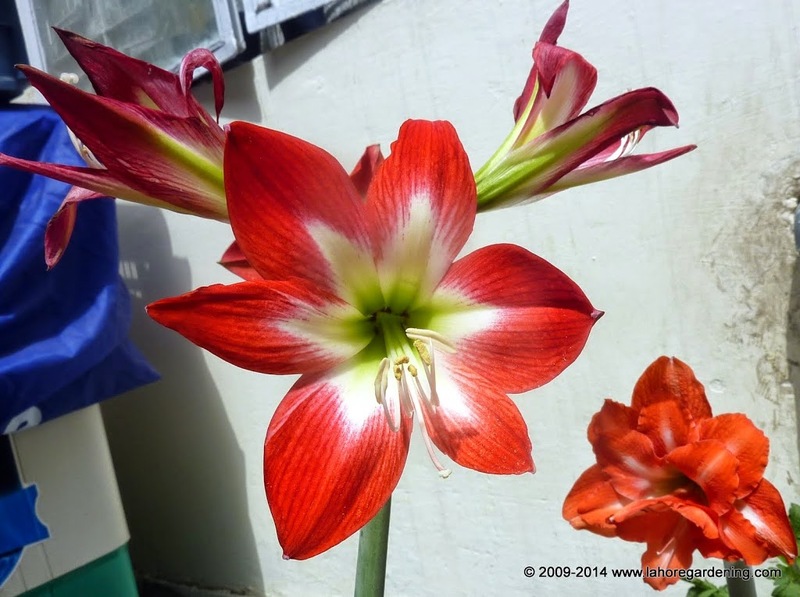 Visit Carol’s Blog May Dreams Gardens for other beautiful post. This post is also included in Yellow mellow monday. 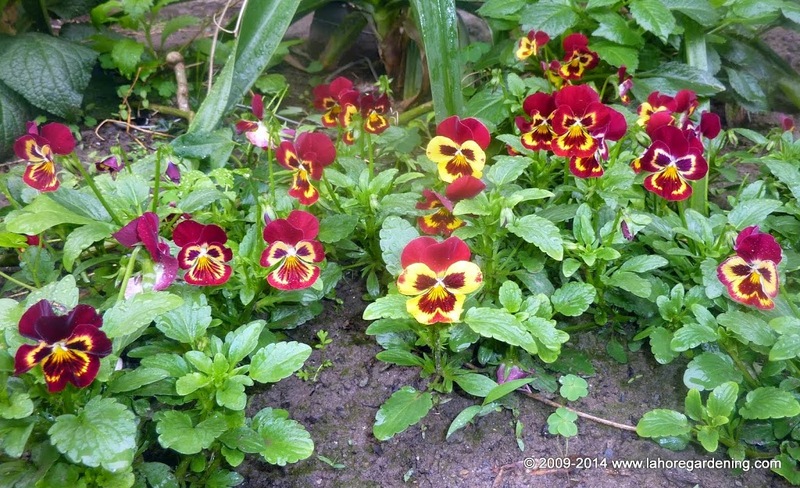 Do visit the website for more beautiful flowers. I will try to post pictures of some other Spring flowers on my rooftop garden. Amazing! So wonderful, all flowers look so stunning! Maybe your climate is suitable to the all plants above. 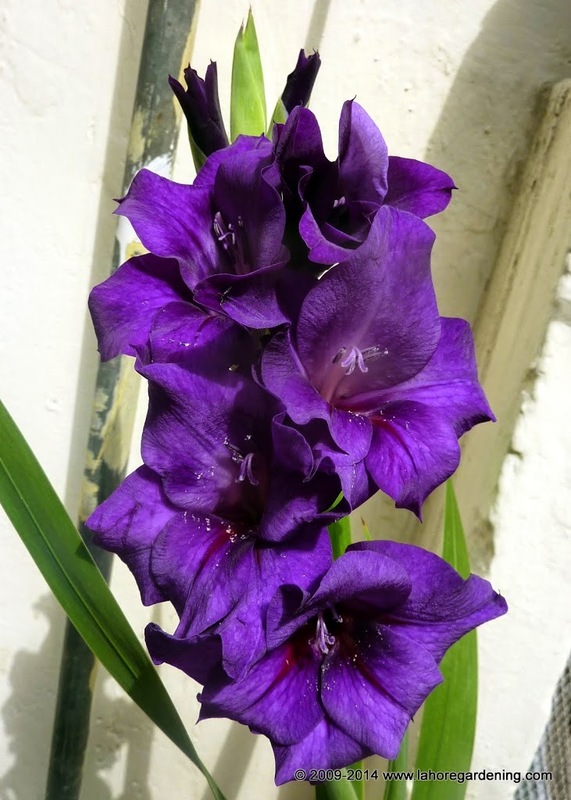 Oh… Is the purple flower on the picture above the petunias Gladiola? Thanks for sharing the beauty. Your blog is so interesting and so inspiring. Lovely roses — your spring is quite a lot farther along than ours in Texas. Happy Bloom Day! Thanks for visiting my blog. It snowed last night where I live so it is very cheering to look at your gorgeous roses this morning. Your blooms are just amazing! Such brilliant colors – especially that purple. I enjoyed my visit to your garden. Your blooms are so beautiful! Thank you for visiting my gardens. I certainly enjoyed yours! That ‘French Lace’ rose is really lovely, and I like the colors on those dahlias! 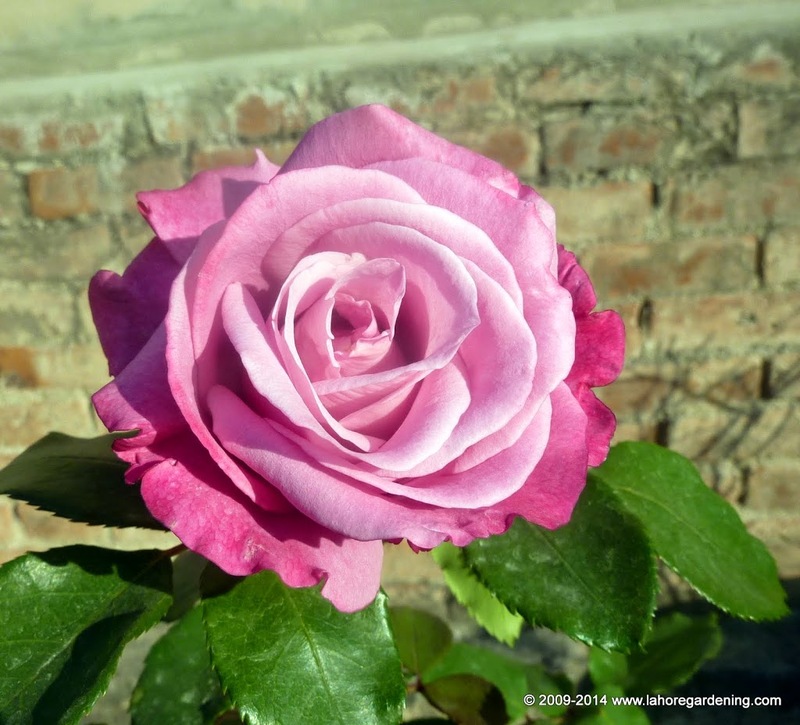 Your floribunda, French Lace, is so beautiful! Happy GBBD! 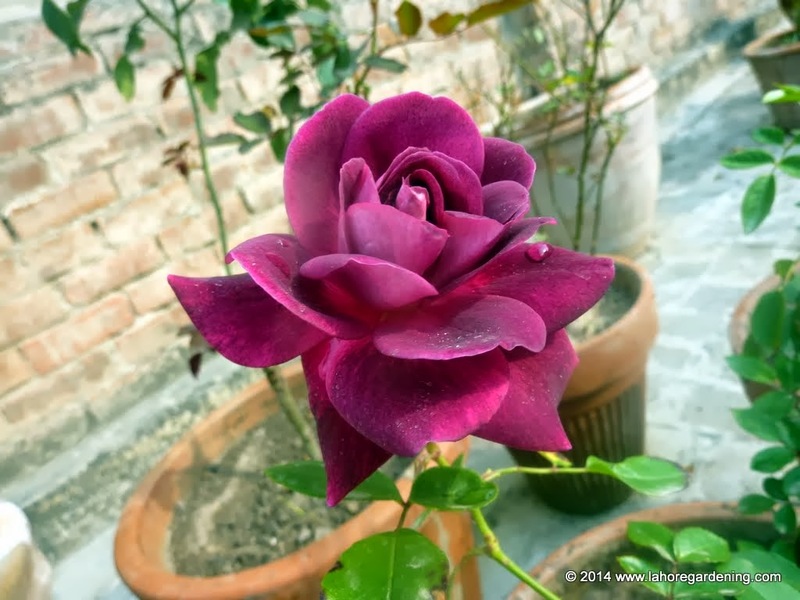 Such beautiful roses! The rest of your garden is lovely as well. 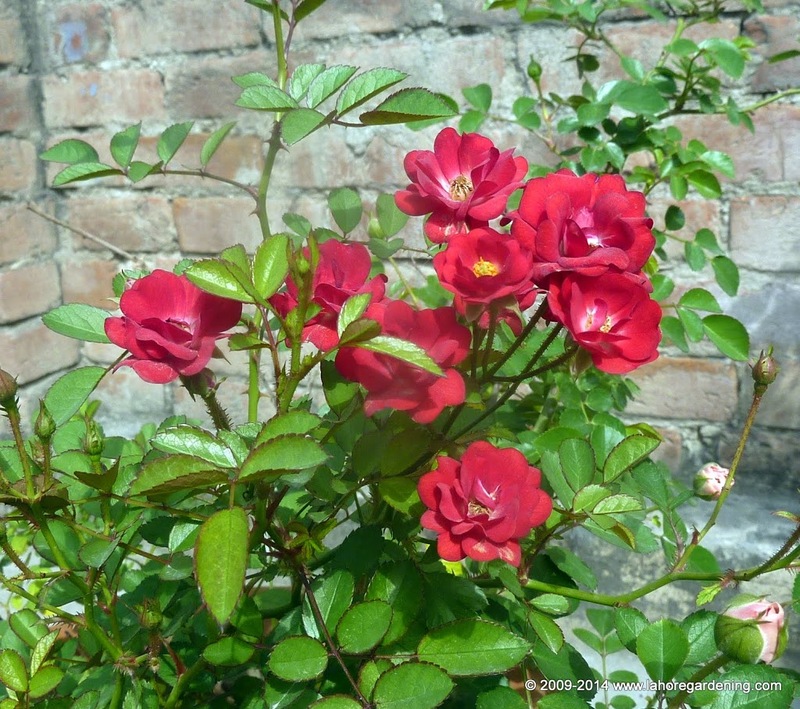 It’s obvious that you love gardening…..the plants are loving you back! I’m going to grow roses for the first time so they catch my eye. What beautiful roses you have! 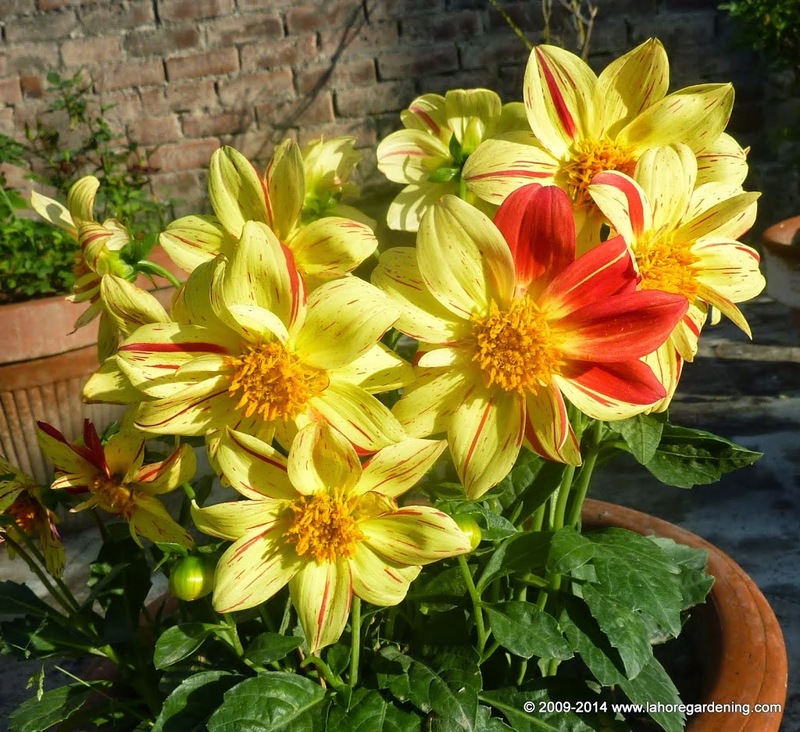 And those dahlias are simply gorgeous! We’re still waiting for real spring to arrive–a dusting of snow last night here–so it’s a delight to see all your lovely blooms. Your rooftop garden must look an absolute picture at the moment with so many beautiful blooms. I particularly love that Dahlia at the top. It’s fabulous. Your Roses are quite lovely and that Gladiolus is gorgeous. Beautiful flowers, many of my favourites! 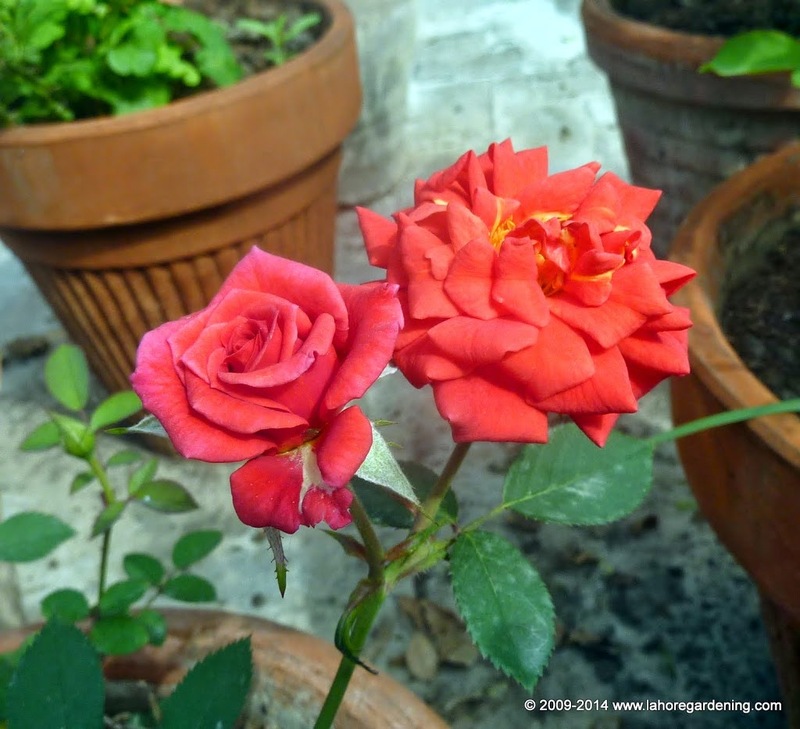 I also grow many of my roses in containers, not because they grow better there but because my garden is so small. All these flowers are so beautiful! The roses are gorgeous! Amazing photos! What a stunning series of splendid colour. So love the purple variety. Your blooms are amazing! What a lovely burst of colours you have at the rooftop!! :D I would love to be there and be surrounded by their wonderful fragrance. Wow, admire your flowers. Wonderfully captured. Oh My God! That is some stunning work out there with those plants. The radiance those flowers emit clearly show the hard work that goes behind all those plants. 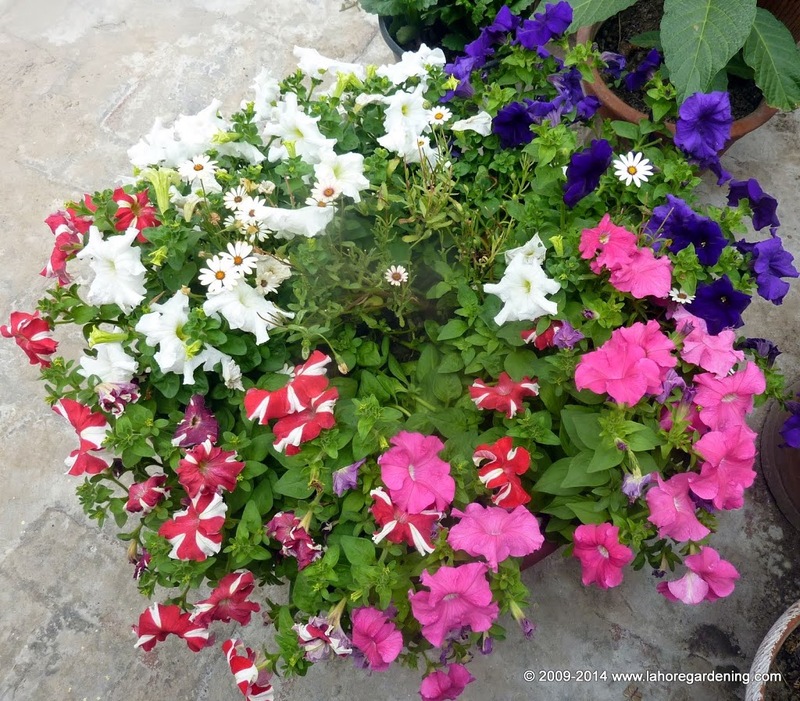 I liked your blog, and it seems to be an encouragement towards potted gardening.